The Country Club of Darien is the perfect venue for any event ranging from corporate meetings and charity golf outings to baby shower luncheons and even, your wedding day. During the fall, watch the foliage change color from the comforts of the cozy Lounge. As the winter months roll in and the course is blanketed in snow, you’ll feel like you’re in a winter wonderland as you dine next to one of the Club’s many fireplaces. When the snow starts to melt and budding tulips appear, you can envision cocktail hour on the Pub Patio on a warm summers night. Our attentive staff will work with you on every detail to transform your ideas into an event you will never forget. Start your planning with The Country Club of Darien! Enter your information here to check a date, get more information or to have our staff contact you. 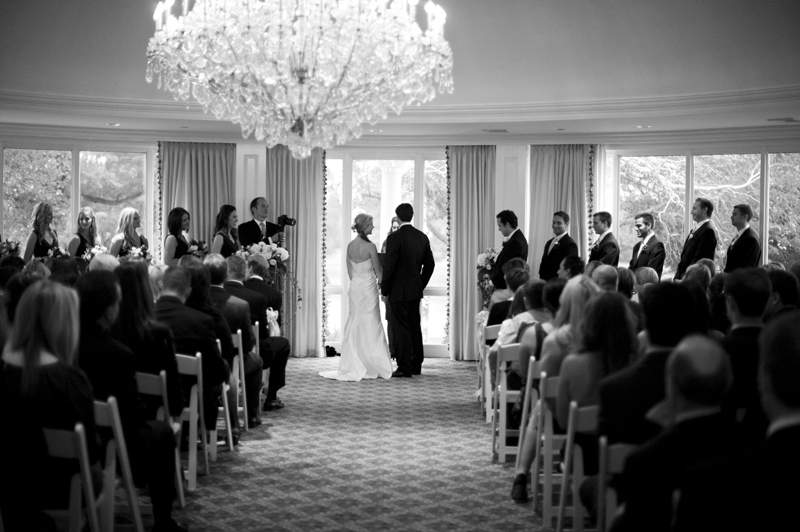 We look forward to planning your perfect day! Our opulent Ballroom with its attached lounge and Terrace area overlooks the golf course and is a sensational venue for any occasion. The adjacent White Oak Room, renovated in August 2016, showcases beautiful course views through its glass Nana doors. On the second floor of the Clubhouse, there are two meeting rooms, the Board Room and Boutique Dining Room. The Board Room, seats up to 24 and can be set up with the latest audio and video technology for your corporate meeting. With seating for up to 14, the Boutique Dining Room is an intimate setting for small family gatherings such as birthday and anniversary parties. See our Photo Galleries section for pictures of our space, past events and culinary inspirations. To arrange a viewing please go to the request information page.